The 700 Series of single output power supplies bracket the most often used DC voltage and current ranges and offer superior performance in terms of voltage and current regulation, low ripple and metering capabilities. All provide isolated outputs with high resistance and high potential insulation. Operating features include constant voltage and constant current modes, mode indicators, adjustable current limits and automatic overload recovery. 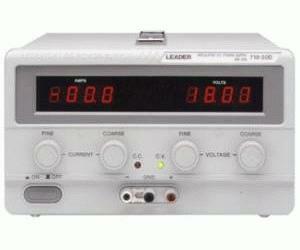 All units are voltage stackable and selected units are capable of shunt operation and voltage tracking.